Amanda loves being a Fairfax County Nanny because she enjoys working with the children on a more personal level and feels that she can truly make a difference in their lives! 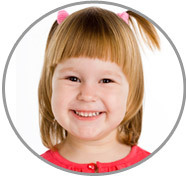 "I am highly energetic, motivated, patient, and have a lot of care to share with each child. If I was asked to describe in one sentence the reason I have chosen to be in the Nanny profession over any other it would have to be because I enjoy working with children and families in a happy environment that I can provide each child with individualized attention. I have been serving in some form of childcare experience for over nine years and can honestly say I love what I do! I feel the children are the future of today and tomorrow. My goal as a Fairfax County Nanny is to be able to make a difference. I am willing to do light housekeeping that includes laundry, cooking, cleaning, and tidying the home after a day full of activities with the children. If I had to describe myself in five adjectives I would say that I am creative, spiritual, hardworking, fun, and loving. If asked to describe the perfect family seeking a Nanny like me I would hope they would be friendly, nice, and understanding down to earth people." "I have watched Amanda interact with my daughter as well as a full classroom of children while dropping off and picking up my children. During this time I have observed Amanda taking great care of all the children in her classroom! Amanda does a great job reading stories keeping the children’s attention, teaching basic skills, asking many questions and challenging the class while getting the children to interact. Amanda certainly maintains control over the room while creating a fun and safe environment for the children in her class. I am amazed that she manages to get all the children in her class who are well under two years old to sit together at a table to eat or do arts and crafts and behave! As my personal childcare provider, Amanda is very trustworthy. I have never feared or questioned if my children or possessions were safe. She has done a great job taking care of both my children even through bedtime, my daughter is three and a half and my son just turned one so both children have completely different needs. My daughter is deep into her routine, which Amanda picked up and easily gets her into bed. My son can be very difficult when it comes to eating but she has done a great job with him as well in getting him to eat his meals and in putting him down for a nap or to bed for the evening while giving my daughter something to keep her occupied until she can shift her attention. I highly recommend her as a Nanny!" "Amanda has cared for our 2-year daughter both at the daycare center we send her to and as a part time Fairfax County Nanny. Amanda is bright, reliable and affectionate! She relates to our daughter as well as all of the other children in the center in such a delightful way. Our daughter just lights up every time she sees her and looks forward to spending time with Amanda learning and having fun. Amanda is well versed in child development due to her education, experience and overall affinity toward children. Not only does she create a positive and safe environment for children, but also she is very good at sharing their experiences and providing feedback to us on our daughter's development, which is really important to me as a parent. We consider ourselves fortunate to have met Amanda and to have her a part of our daughter's life. It's so important to us to be able to really know and trust the person we leave our daughter with and we knew instantly after meeting Amanda that she was a treasure. We are so thankful for the positive impact she has had with our daughter!" "I have had the privilege of having Amanda provide care of my 2 daughters. Amanda has developed wonderful relationships with the children she provides care for! All the children in my daughters class enjoy "Ms. Amanda" and look forward to seeing her, which is refreshing as "drop-off' can be a difficult experience. When seeking a private childcare provider for my girls it was Amanda's work habits, her interaction with the children in her class and the overall way she handles herself that made me look to her for childcare. Outside of the routine care, Amanda takes my daughter to and from her dance classes, Amanda is very responsible and I feel safe with her being in the car with her. Amanda will also remind me of things the children need for school the following day and is willing to take the initiative to ensure they have the needed supplies. My overall impression of Amanda is she is an intelligent, responsible young woman who instills good values and teaches proper behavior and creates a positive environment for them to grow in! I highly recommend her for a nanny position!"